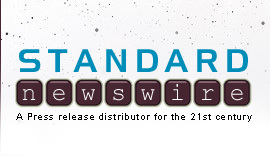 MEDIA ADVISORY, May 30 /Standard Newswire/ -- The closely-watched Rachel L. homeschooling case in Los Angeles is entering the final phase of briefing at the appellate level before oral arguments are scheduled. Numerous friend-of-the-court or amicus briefs have been filed with the state Court of Appeal in the last two weeks. While most of the briefs favor homeschooling, those filed by the educational establishment take some hostile - and head-scratching - positions. For instance, the California Teachers Association claims in its brief that allowing parents to homeschool their children without requiring a teaching credential will result in "educational anarchy." Meanwhile, in another brief filed by State Superintendent of Public Instruction Jack O'Connell and the California Department of Education, it is argued that the law allows parents to homeschool on their own - but not with the help of a structured, independent-study program such as the one represented by Pacific Justice Institute (which was utilized by the L. family in this case). On the other side of the ledger, a brief filed by Governor Schwarzenegger and Attorney General Jerry Brown recognizes "that home schooling has a long and positive history in California and across the nation." The brief thoroughly explains the legality of home schooling in California. Nearly a dozen other amicus briefs have been filed with the Court by various individuals and groups from around the country - all in support of homeschooling. Contributors to those briefs include attorneys from some of the largest law firms in America, as well as one of the most well-known, unabashedly liberal law professors in the country. Pacific Justice Institute has been given a unique opportunity by the Court to respond to all of these briefs and will be filing its reply by Monday. Oral arguments have not yet been scheduled, but the Court has stated that it intends to hold them sometime in June. Brad Dacus, president of Pacific Justice Institute, commented on the recent developments as follows: "Contrary to the outrageous position of the California Teachers Association, homeschooling is not educational anarchy - it is educational opportunity. We are pleased that the Governor and many other influential voices are weighing in on this important debate, and we look forward to presenting the Court with the best possible defense of both homeschoolers and independent-study private schools."